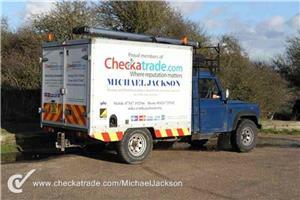 Michael Jackson - Plumber based in Hastings, East Sussex. I'm a plumber with 36 years experience. After 6 years working for a large company redundancy forced me back into self employment and I'm thoroughly enjoying being back in control of my own destiny. It's nice to be back in a position where I can take a pride in my workmanship and do what's right for the customer instead of lining shareholders pockets. I accept payment by cash and bank transfer.